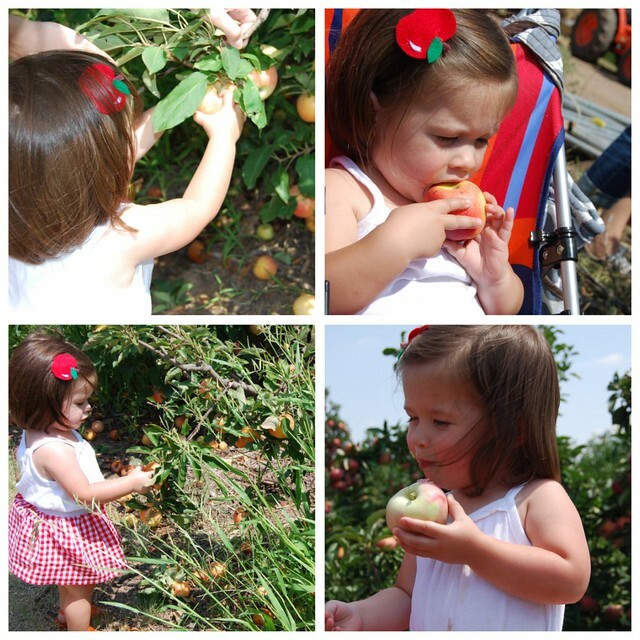 Yesterday my friend Carrie and I took Molly and Ella to this apple orchard. 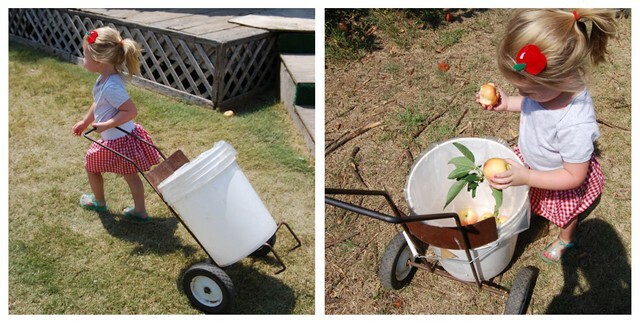 We ate lunch there, went on a hay ride and picked and ate a lot of apples. The girls had so much fun. 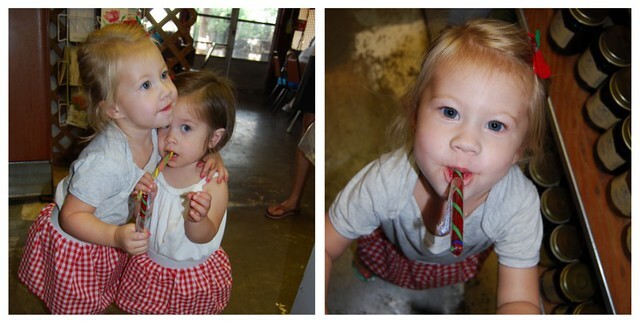 Carrie and I made Molly and Ella matching skirts to wear for their first apple picking. We made the skirts using the super easy elastic waist skirt tutorial. I made apple hair clips out of felt and totally made them face the wrong way when the girls wore them in their hair. oops. We hope everyone had a wonderful weekend too! SO cute!!!! I really want you to come over for dinner soon! When does Bob leave again? You will get through this!! 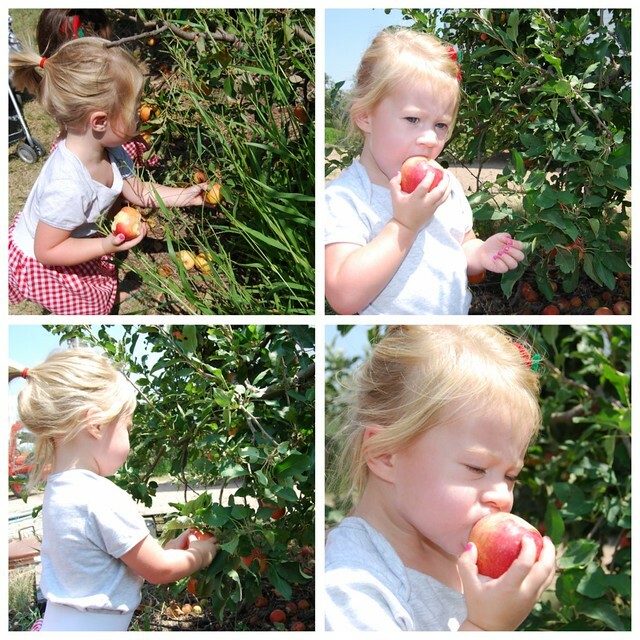 Cute pics of the girls at the orchard. I want to go soon!!!! You looked adorable the other night btw! !